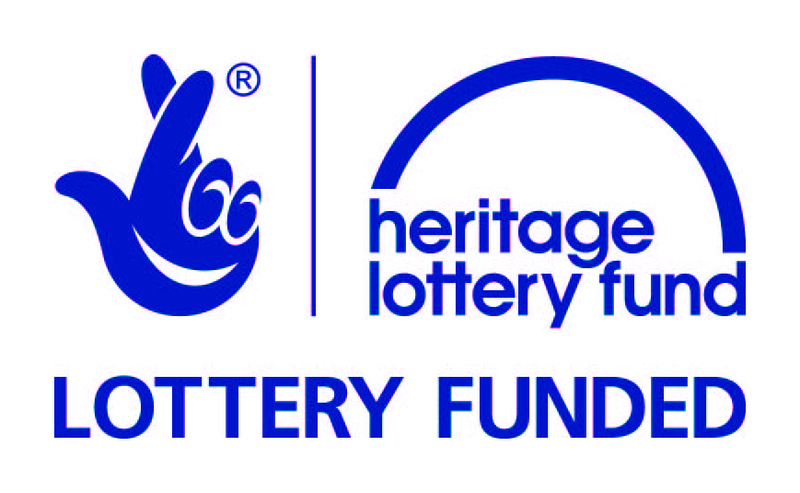 Hackney City Farm received Heritage Lottery Funding to work with volunteers and create a digital and physical archive about the Heritage of the Farm. The Farm, in London, borders the boroughs of Tower Hamlets and Hackney – places of massive change over the preceding decades. We launched these resources on 7th April 2016. 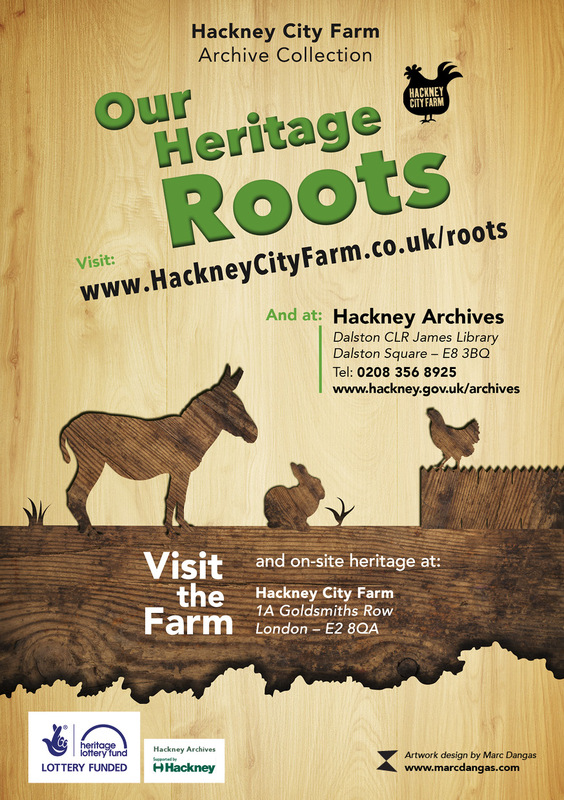 The website is easy read and aims to stimulate interest in the heritage, encouraging visitors to then go to Hackney Archives and visit the heritage on the Farm site. Volunteers sorted 20 crates of documents, publicity materials, photographs and films at the Farm. The collection includes- committee meeting records, press cuttings, original artwork of the Farm, posters showing activities, photographs showing the derelict state of the Farm in 1984 and three films. Photographs donated also show events, people, animals and the environment of the Farm. 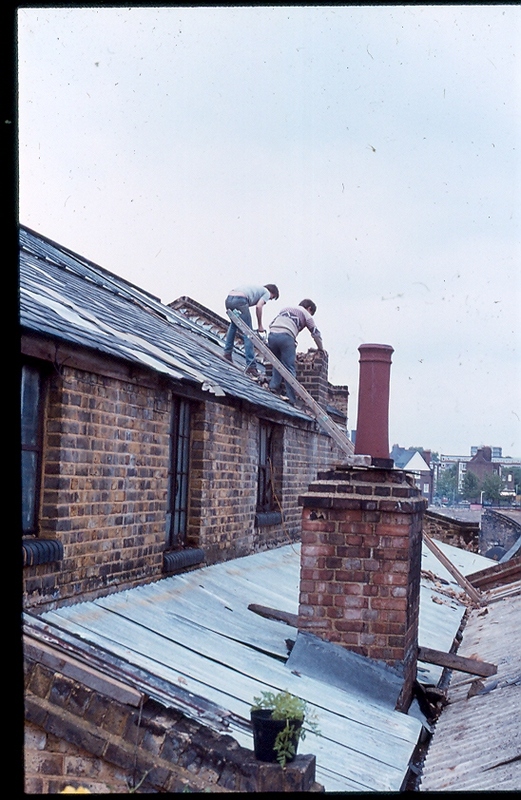 There are also some older ( 1950s mainly) photographs depicting local streets and former buildings We donated 12 crates of physical materials to Hackney Archives. We also provided 100 digital photos, 10 audio, 2 films and 8 Utube film links for online use. Hackney City Farm was set up by volunteers in 1984. They searched for a site for a city farm in Hackney and gaining supporters over 6 years before being offered a 100 year lease the current site by Hackney Council. 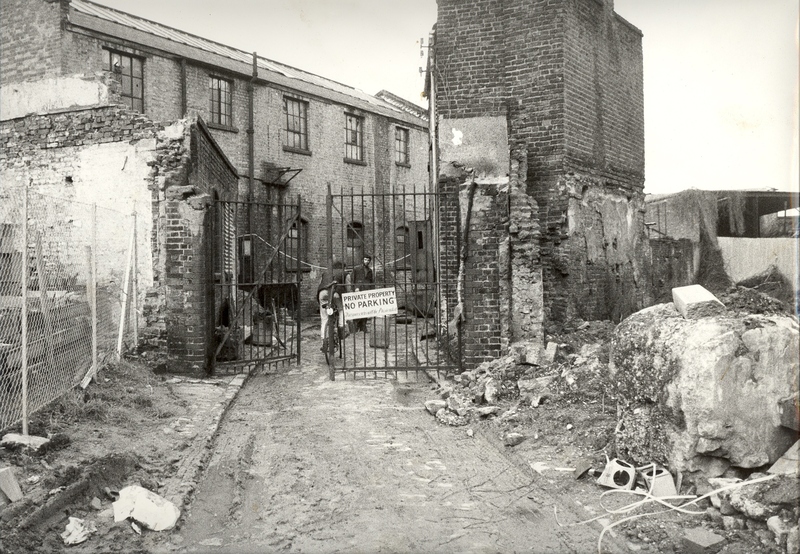 Participants on the project recorded site specific heritage showing evidence of former uses of the site, 1A Goldsmiths Row. Industrial windows, an etched name and a former road in the Farm share some it’s past as a brewery, a transport haulage depot and street of Victorian terrace houses. A map has been created for visitors to take for a self guided tour sharing this and more of the past heritage. Materials mainly represent 1984 to the present.